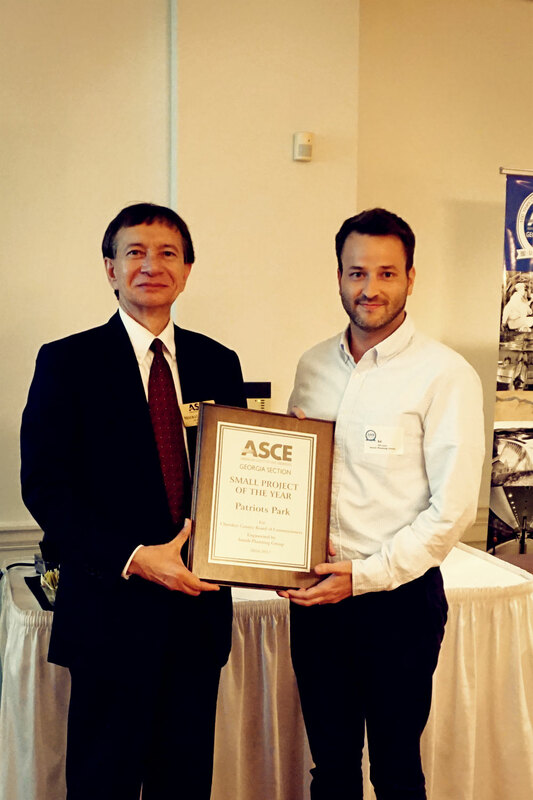 WATKINSVILLE, Ga. - Sept. 1, 2017 - PRLog -- Smith Planning Group, a civil engineering and land planning firm in Athens, Georgia was awarded the American Society of Civil Engineers (ASCE) Small Project of the Year Award for the Georgia Section. The Small Project category recognizes significant projects below $7 Million. 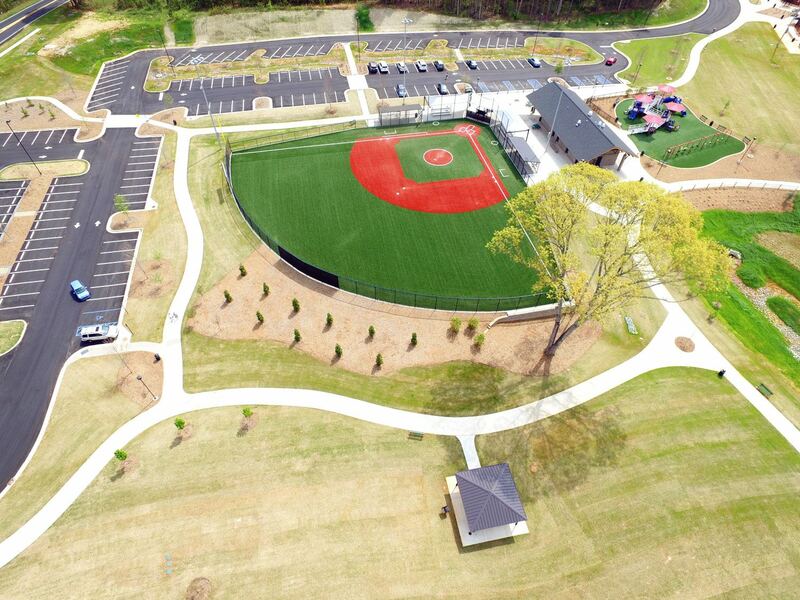 Smith Planning Group was recognized for their work on the recently opened Patriots Park facility in Canton, Georgia. The Annual Awards Gala was held Friday, August 25th in Norcross to honor the award recipients. Georgia Department of Transportation Commissioner Russell McMurry and ASCE President Kristina Swallow were guest speakers at the event. 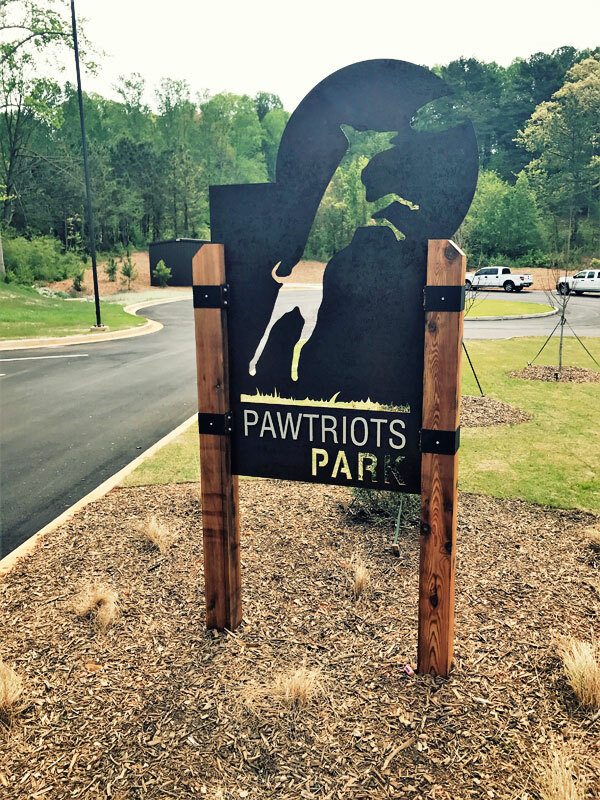 A 32 acre park located in Cherokee County, Patriots Park includes recreational amenities and facilities for everyone in the community. The centerpiece of the park is an Inclusive Playground and Adaptive Use Field named Freedom Field, serving those with disabilities. Other park features include two little league baseball fields, large and small dog parks, paved walking trail, concession stand, and over 12 acres of preserved open space. 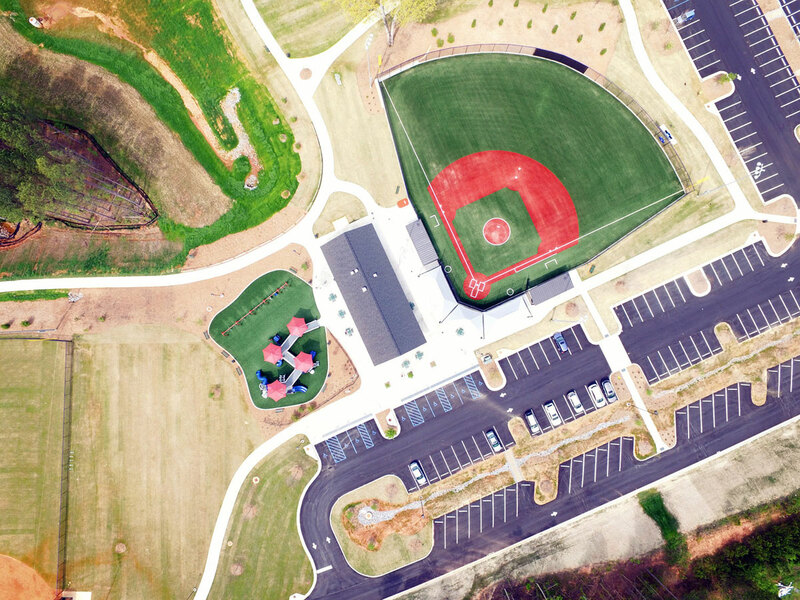 The new park provides connectivity to adjacent neighborhoods and provides something unique for all of Cherokee County: Athletic fields and playing surfaces for all athletes, including those with disabilities, low vision, hard of hearing and those using wheelchairs. Freedom Field is an Adaptive Use playing field, with a special surface adaptable to various activities and sports. The adjacent playground and concession stand are also designed with special adjustments to be inclusive. This park is 7-years in the making and is the first facility of its type in Cherokee County. Further, the addition of the dog parks, walking trail and little league fields help to contribute to a lively park with athletes and families of all types coming together to enjoy the beautiful park. With gently rolling terrain, conserved woods, open space, and pockets of saved trees throughout, the park has a unique sense of place. The primary impact of the park is the creation of Cherokee County's first Adaptive Use Playing Field and Inclusive Playground. In order to successfully implement the design, the project team consulted with Robert Strozier, the Cherokee County Miracle League Program Organizer. Smith Planning Group helped to coordinate with Shaw Industries to construct a small prototype of the playing surface, which utilizes a combination of Shaw's TruHop 46 synthetic turf, coupled with a Brock Powerbase to provide both enough stability and cushion for various special sports and activities. Mr. Strozier was invited to test the proposed surface to ensure it met the requirement for his league. Traditionally, the Miracle League uses special fields with poured in place rubberized surfaces. However, because these fields are smooth they often look different and play differently which significantly limit their use. On the other hand, typical synthetic turf fields are too soft and difficult for wheelchairs to navigate. By using a combination of short synthetic turf and rubber pad base, the playing field serves those in wheelchairs and walkers, but can also be used year-round by others. The adaptive use of the field helps to breakdown barriers between athletes with different abilities as they can all enjoy the same facility. Likewise, the inclusive playground utilizes a similar surface, with fully ADA accessible playsets.